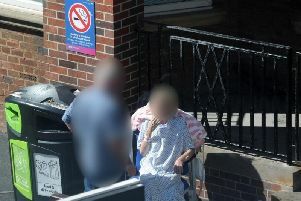 Lancashire is to receive the joint-largest share of a nationwide grant to ease pressure on social care services. The county council area will be handed almost £15m from a one-off funding pot announced in October’s budget, while Blackpool and Blackburn Councils get £2.4m and £2.1m respectively. A third of the cash - which had already been allocated - is reserved to help reduce the strain on the NHS over winter. The remainder can be used across adult and children’s services. Meanwhile, the county has been told that it can keep more of the business rates which it raises in the area. The region has been given the go-ahead to take part in a pilot scheme which will see Lancashire authorities retain 75 percent of the income generated from businesses and pool the proceeds across the majority of councils. It is estimated that the arrangement will give the region an extra £10.5m to spend next year across all local authorities except Lancaster City Council, which chose not to take part because of the risk that successful business rate appeals could actually leave it worse off. Ken Hind, leader of Ribble Valley Borough Council, which spearheaded the bid, said the government had recognised the “size and diversity” of Lancashire by trialling the scheme in the region. “It shows what 15 councils can do when they work together in a short period of time - we had just three weeks to draw up the bid and get permission from over 500 councillors in the county,” Cllr Hind said. The announcements were made as local authorities also learned much money they will have to spend in the next financial year. The government has published its draft finance settlement which will be confirmed early next year following a formal consultation. Lancashire County Council will see its spending power - a combination of government grants and money received from council tax - increase by 3.3 per cent during 2019/20 compared to the previous 12 months. County Hall will have £788m to spend next year, an increase of 7.6 percent since 2015/16 - almost identical to the rate of inflation over the same period. Leader of the Conservative authority, Geoff Driver, said: "The local government finance settlement looks broadly similar to the position that we have been forecasting as part of our medium term financial strategy, which forecasts a financial deficit of £46m by 2022/23. "Our priority continues to be ensuring that we protect the most vulnerable people in Lancashire, by making the best use of the money available to us. The county council was one of the few authorities in the country not to sign-up to four-year settlement in 2015/16. That arrangement gave councils an indication of their budgets over the course of the current spending review period, which comes to an end this year. In Blackpool, year-on-year funding will increase by 1.5 percent to £133m and its available budget is one percent bigger than it was four years ago - but that is well below the rate of inflation over that time. The authority announced a £9m savings package earlier this week, on top of the £142m which it has cut from its budget since 2010/11. And the area's district councils have not fared well financially in recent years - Fylde Council's £10m pot is down 5.4 percent on 2015/16, while Wyre Council has seen a 10.9 percent drop over the same timeframe to £12m Next year, Fylde will receive an annualised increase of 3.7 percent, but Wyre will fall back further by 2.5 percent. In spite of the increases for some other Lancashire authorities since the middle of the decade, a National Audit Office report earlier this year found that government funding for councils across the country has been cut by half since the start of austerity in 2010. The government is due to publish the findings next year of its fair funding review of how money is allocated to councils and another comprehensive spending review will be carried out. Plans to put social care services on a sustainable footing will also be addressed in a so-called 'green paper' on the subject.